Lower Zambezi is Africa's greatest wilderness. Come to a place where animals roam the unfenced safari camps, where Africa’s most unspoilt nature stretches out in front of you, where traces of people are hard to find and where nighttime is about sitting under an incredibly black sky, dotted with countless stars. Welcome to Zambia's Lower Zambezi National Park. It is the draw-card of Lower Zambezi: the remoteness of this eastern part of Zambia. The Lower Zambezi National Park, founded in 1983, covers an area of 4,092 square kilometers along the northwestern bank of the Zambezi River. Step on board on a boat or drift silently pass the riverbank in a canoe for the best wildlife viewing, since most wildlife is concentrated around the Lower Zambezi Valley and the river. Elephant herds, sometimes up to one hundred strong, hippo, leopard, lion, buffalo, over 400 bird species – they all gather in this mesmerizing wilderness. If you are planning a safari to Lower Zambezi, you probably have a ton of questions. When is the best time to travel? What should I pack? Can I see the Big Five? How do I get there? And, also very important, how do I find a place to stay that will provide an unforgettable safari experience? We will try to answer your questions as comprehensively as possible in the sections below. Don’t hesitate to use our contact form at the bottom of the page if you still have some unanswered questions. We will be happy to assist you! 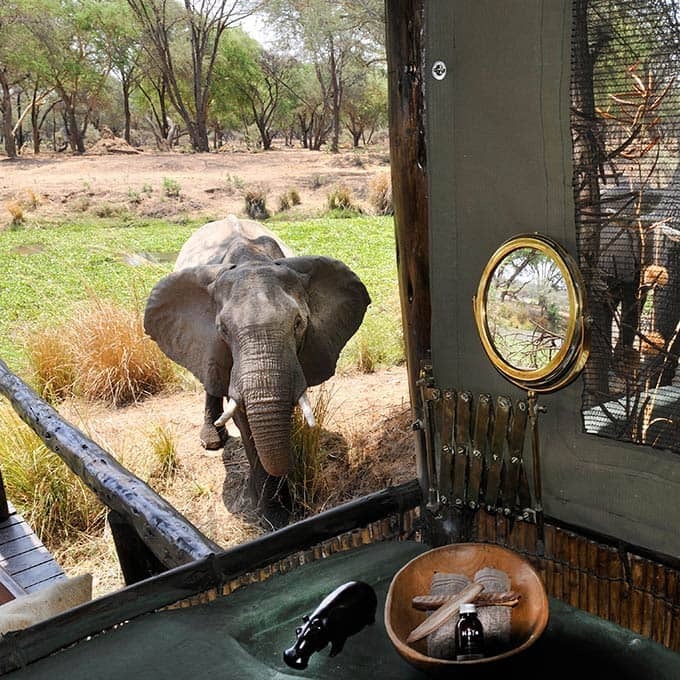 How would you like a front row seat for your wildlife-viewing in this premier African safari destination? Float down the rivers of this hypnotic wilderness sanctuary and watch animals up-close. Planning a trip to the Lower Zambezi is already pretty exciting, but finding that one special offer that seems tailor-made for you is even better. Check out our latest Lower Zambezi special offers. Several options are available when travelling to this remote corner of the world. Johannesburg (South Africa), South Luangwa (Zambia) and Lusaka all offer easy acces to Lower Zambezi. One of our best wildlife experiences was from our chalet with elephants wading through the lagoon and then surrounding us - very special. The emphasis here is to spoil he guest and we certainly felt very spoilt. Would highly recommend. A perfect balance of being so connected to nature and experiencing a luxury vacation. 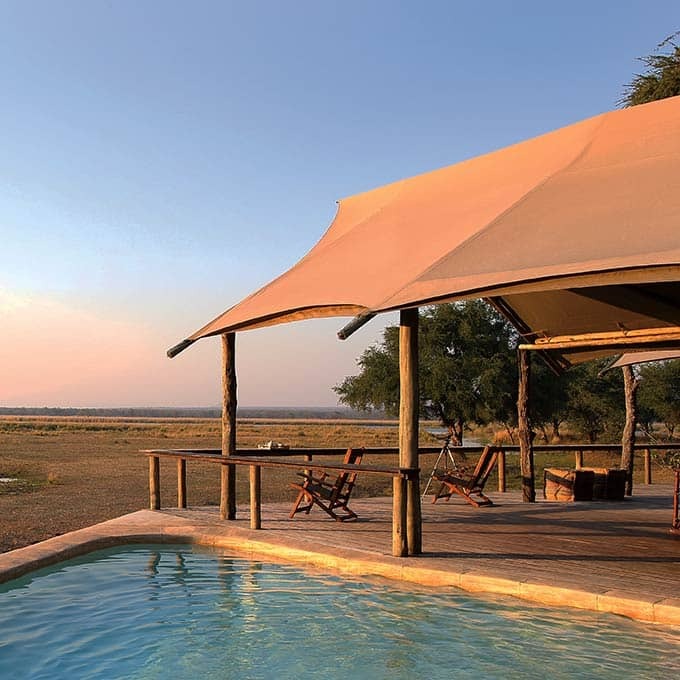 From stunning luxurious lodges to more remote bush camps: weary safari heads need a good place to rest. The Lower Zambezi has a wide range of accommodation-options, so start browsing our list of Lower Zambezi safari lodges. You might have some trouble choosing between all these beautiful destinations, but just remember: stunning views, excellent bush cuisine and warm hospitality are the standard in Zambia, so you will find that everywhere. 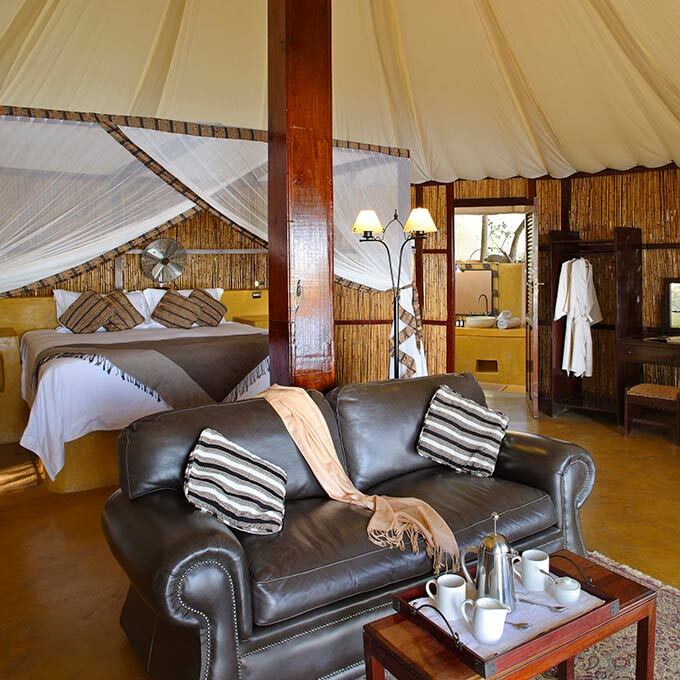 Operated by the same family of safari experts as Chiawa Camp, the Old Mondoro Bushcamp is, as some say, one of the last remaining, ‘true’ bush camps. Curious about what your stay will be like in a true bush camp? 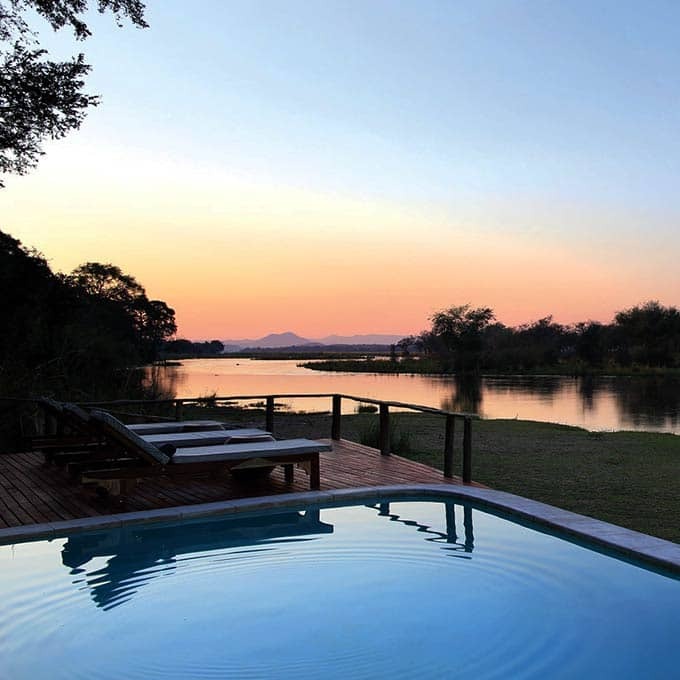 Read on about this stunning Lower Zambezi lodge. Chongwe Safaris is one of the oldest safari companies in Lower Zambezi. Here, you can immerse yourself in years of experience: knowledgeable guides, warm hosts and excellent chefs – they all know how to offer you a perfect stay in Lower Zambezi. There are a few things more thrilling than observing prolific wildlife from the water. 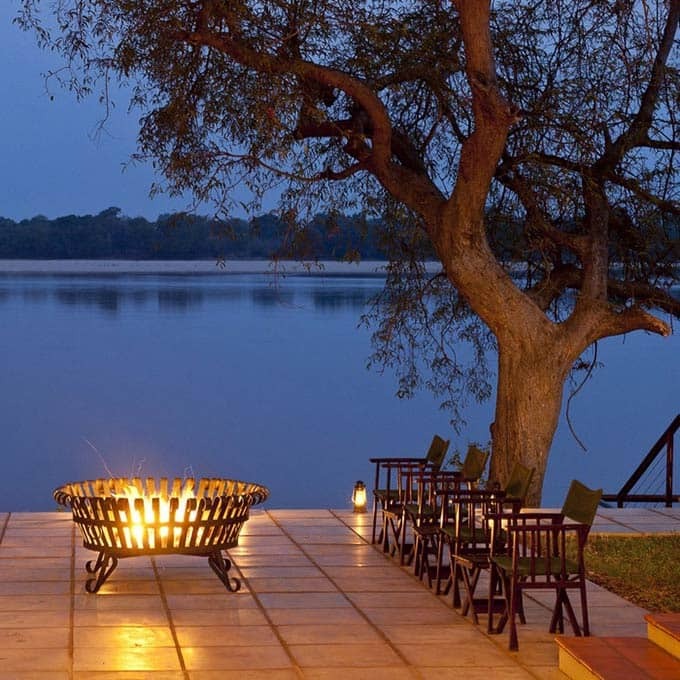 This luxurious lodge, located on the banks of the Zambezi River, provides the perfect base to enjoy the river, whether you are on your honeymoon, or planning a family safari. Welcome to Chiawa: run by the Cumings family since 1989, many visitors here are returning guests. If you are up for an authentic experiential safari, with a warm, personal touch - full of little surprises along the way – this is the place to be. 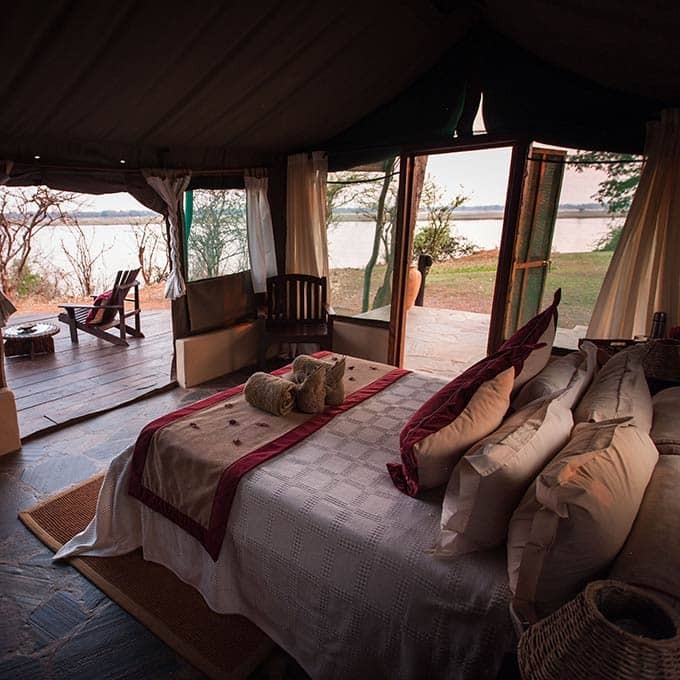 This camp is the latest luxury tented camp in Lower Zambezi and a sister camp of the gorgeous Anabezi Camp. Looking for a homely and pure safari spot? 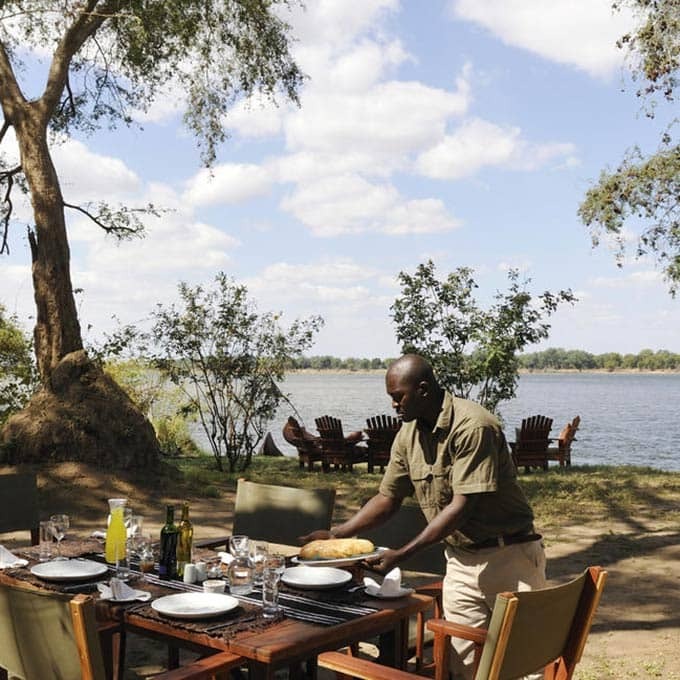 Amanzi Camp is your Lower Zambezi National Park safari destination. This family owned safari camp makes you feel incredibly welcome the minute you set foot in it. Staying in this luxury tented safari camp means game viewing by river boat and safari vehicle, providing a true African escape in Zambia. Relax! You are at the Kasaka River Logde. There is nothing too fancy about this place, but it sure is comfortable and intimate. The real draw is of course the unspoilt nature, starry night skies and incredible wildlife. 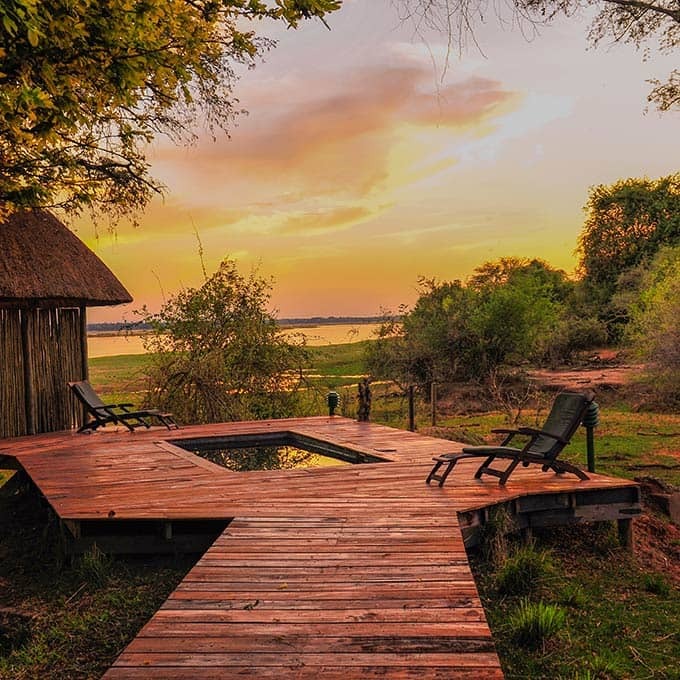 With a dedicated staff and a stunning setting, this camp is in a class of its own, with treats and surprises around every corner ‐ the perfect balance between a bush experience and serious pampering, Zambia style. 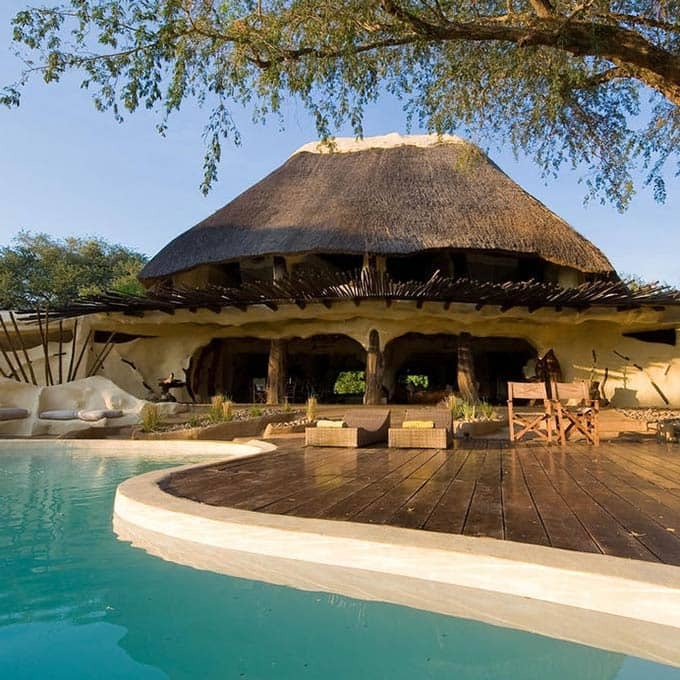 Somewhere deep in rural Africa rises an award winning safari house: the Chongwe River House. Make a style statement, while experiencing a super personal Africa safari. All by staying in this stunning private lodge. 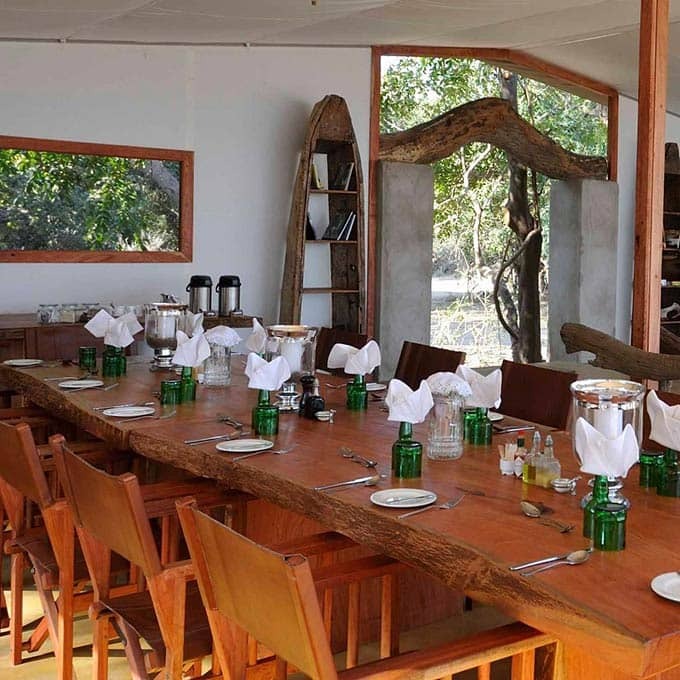 This camp is located in the heart of Africa’s most unspoiled area, the Lower Zambezi. If Africa doesn’t already have an everlasting place in your heart, it will after staying in this sustainable, luxury lodge. lodge style Small. Raw. Stunning. While you paddle your feet in the Zambezi River with a cold Pimms in your hand and enjoy a 360° view, you are finally really away from it all. 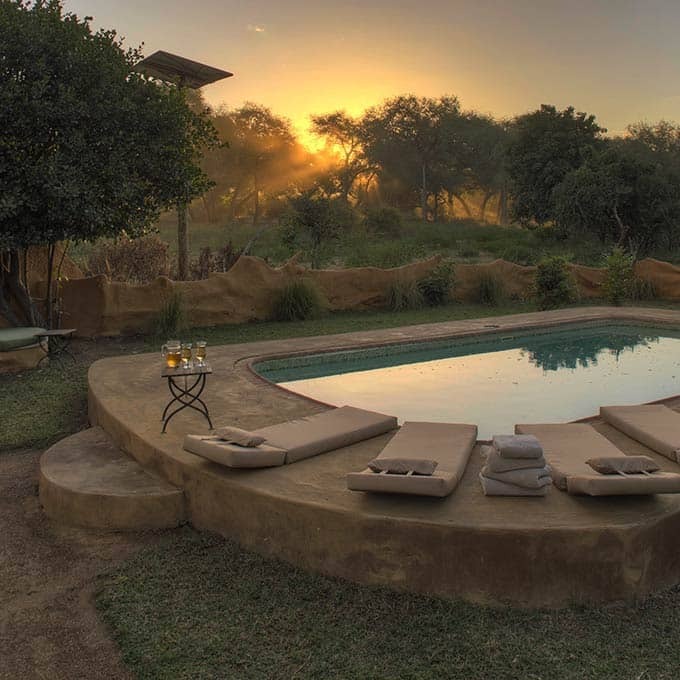 This intimate camp will open your heart to an unspoilt part of Africa. 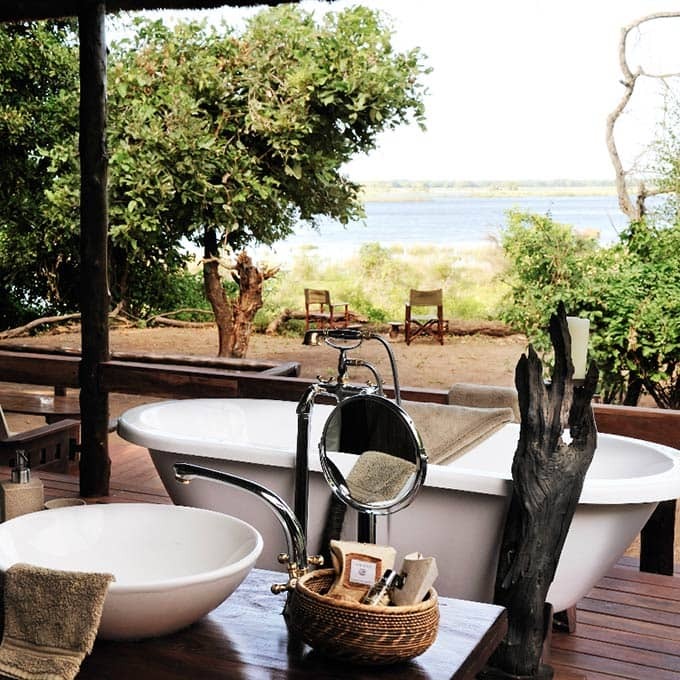 Set in the middle of the mighty Zambezi River, Tsika Island Camp is approximately 30 kilometres upstream from Chongwe between Mana Pools in Zimbabwe and the village of Mugurameno in Zambia. The private plunge pool on my deck was my favorite feature with great views of the dry river bed with lots of wildlife. It is a unique place where you can go on game drives as well as canoe and river safari's. A truly memorable experience! The best bit is that there are relatively few lodges in the park at the moment so you have it largely to yourself. The best way of getting an idea what the Lower Zambezi National Park is about is by seeing some incredible footage from the area. View this video of Chiawa Camp and Old Mondoro to experience some of the lodges and wildlfe in the national park. Be careful, after watching this video you can be sure that you want to travel to Zambia. Today. My breath disappeared as soon as I was shown into my suite - I'd been given a HUGE room, with two bedrooms, large living area, and private pool /sundeck area. What a treat! There was so much to see, a herd of Elephants, Hippos, Crocks, Warthogs, Buffalo, Impala, Kudu and many species of birds and although I didn’t, if you are lucky maybe a Leopard. It was my first time in the Lower Zambezi and it took my breath away - what a beautiful place. We hope you have found all information needed to decide that the Lower Zambezi National Park is the perfect place for your next travel adventure. Still have questions? Or maybe you would like some more specific information about one of the topics on this page? Please fill in the contact form and we will get back to you soon!